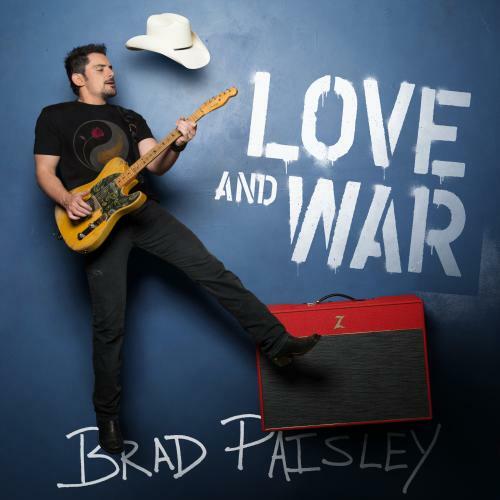 Country superstar Brad Paisley announced today the track listing of his forthcoming Arista Nashville album, LOVE AND WAR, which streets April 21. Fans can download the first single and Top 5 hit “Today” HERE and stream it HERE. Special vocal and songwriter guests on Paisley’s new album include Rock & Roll Hall of Famers Mick Jagger and John Fogerty, Country Music Hall of Famers Bill Anderson and Johnny Cash and hip hop-R&B artist-producer Timbaland.